Find out about our Decanter World Wine Awards 2014 Australia judging panel with biographies of the Regional Chairs Anthony Rose and Michael Hill Smith MW plus Alessandro Marchesan, Alex Hunt MW, Angela Mount, Brett Crittenden, David Jean, Hamish Anderson, Jane Parkinson, Justin Knock MW, Keith Isaac MW, Laura Rhys MS, Madeleine Stenwreth MW, Matt Smith, Matt Wilkin MS, Nigel Wilkinson MS, Oz Clarke, Pierre Mansour, Poh Tiong Ch’ng, Richard Hemming, Roger Jones, Simon Thorpe MW, Tony Aspler, Tony Jordan, Totte Steneby and Vincent Pastorello. Rose is the wine correspondent of the UK’s Independent and i newspapers, and is a regular contributor to Decanter. 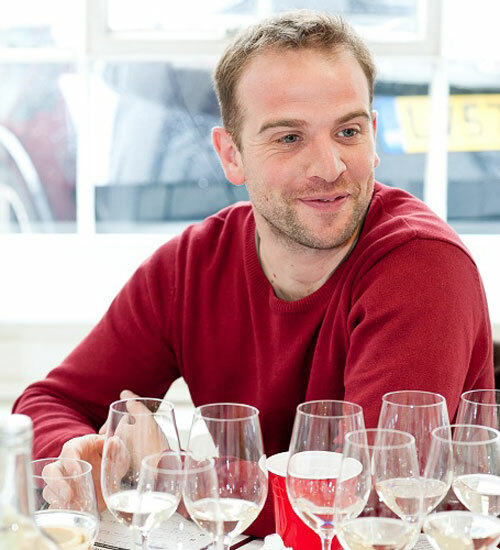 He teaches the Leith’s School of Food & Wine certificate, as well as a consumer course on saké. One of his specialist areas is wine investment, on which he contributes to The Oxford Companion to Wine. 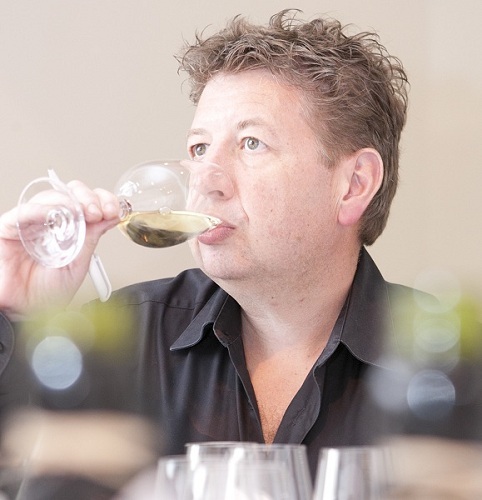 He has won several awards, including three Glenfiddich Wine Writer of the Year awards and a Louis Roederer International Wine Columnist of the Year award. He is a founding member of The Wine Gang, writes his own blog at Anthonyrosewine. com and is co-chair of the Saké International Challenge in Tokyo. 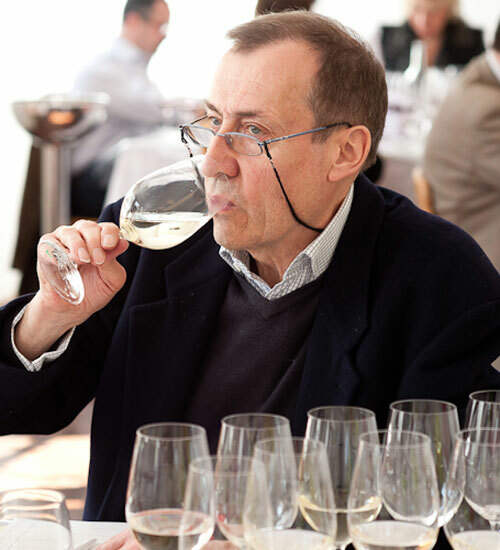 The first Australian to pass the rigorous Master of Wine examination in 1988, Hill-Smith is a wine producer, international wine judge, wine consultant, occasional wine writer and lapsed restaurateur. 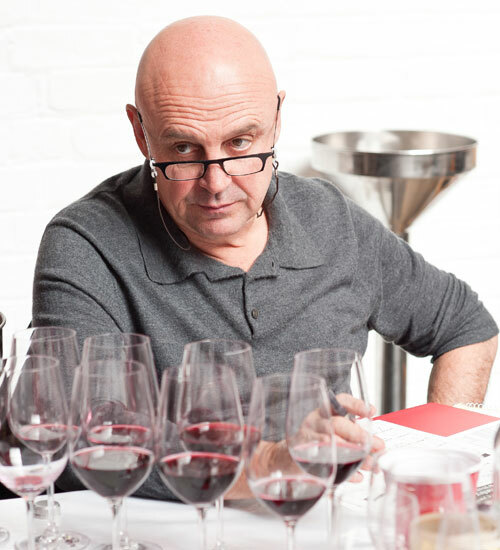 In 2008, he was awarded an Order of Australia (AM) for his contribution to the Australian wine industry and he believes passionately in the future of Australian fine wine. He has been named in Decanter‘s Power List in 2009, 2011 and 2013. He is also part of the international tasting panel responsible for the selection of all wines served on Singapore Airlines. Alessandro Marchesan started his career in the hospitality business as a bartender in his hometown of Venice, working as bartender and waiter in various local restaurants, including the Cipriani Hotel. He moved to London in 1999 and worked at Kensington Place restaurant in Notting Hill for four years and then, in 2003, won the Dan Pontifex Award, which sponsored a six-week course in Australia. On his return to London in 2003, Marchesan moved to Zuma to work as Sommelier, before being awarded the title of UK Sommelier of the Year by Harpers and Queen. He now holds the position of group sommelier and wine buyer for Zuma, Roka international and Oblix, and is responsible for the wine operations at restaurants in London, Asia, the US and the Middle East. Since 2004, he has co-owned Mas la Mola, a boutique winery in Priorat. Brett Crittenden has been involved with the wine industry for more than 35 years. 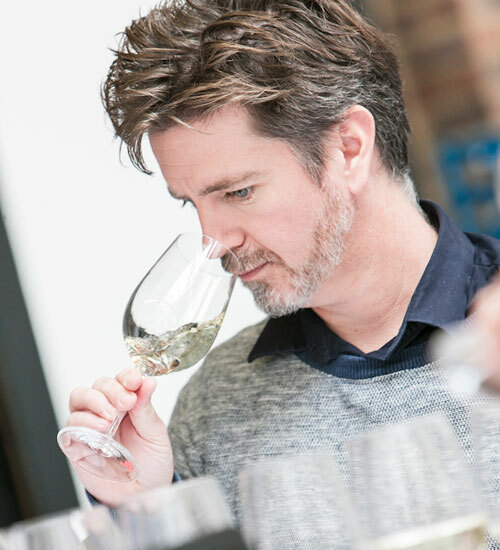 After graduating from Australian wine school Roseworthy College, he worked with his family’s business, importing and retailing many of the great wines of the world, before spending more than a decade at LVMH (Moet & Chandon) in Australia, Argentina and the UK. Crittenden is now working with a number of top wineries in the world, including Guigal in the Rhône Valley and the best domaines in Burgundy, Italy and Spain along with his personal favourites from Australia and New Zealand and the USA. 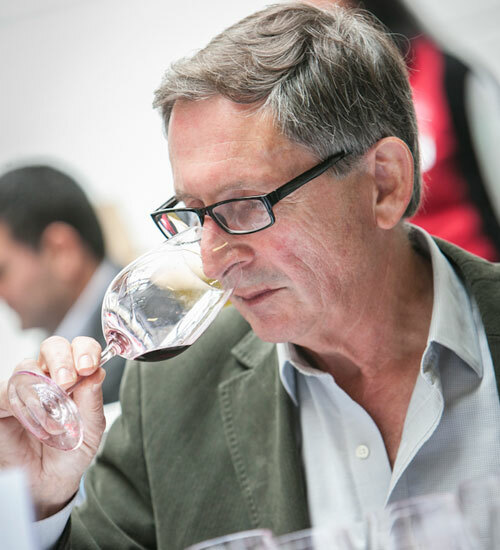 A senior international wine judge for more than 35 years, Crittenden is a regular wine educator, has previously worked with Australian television and radio, and now contributes to a number of international journals as well as teaching at sommelier schools. 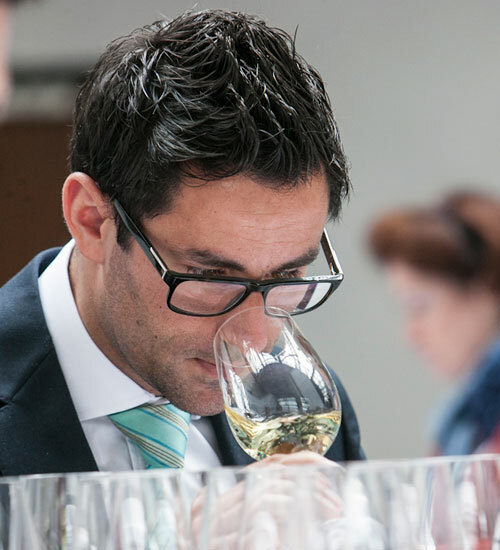 David Jean has always been fascinated by aromas and flavours, which lead to him studying enology in Switzerland. After graduating in 2005, he became a wine buyer for Coop Switzerland, with responsibility for the Swiss, French, Austrian and German categories. In 2008, he moved to Stockholm to work as a buyer for the Swedish retail monopoly, Systembolaget, with responsibility for Australia, North America and Eastern Europe. 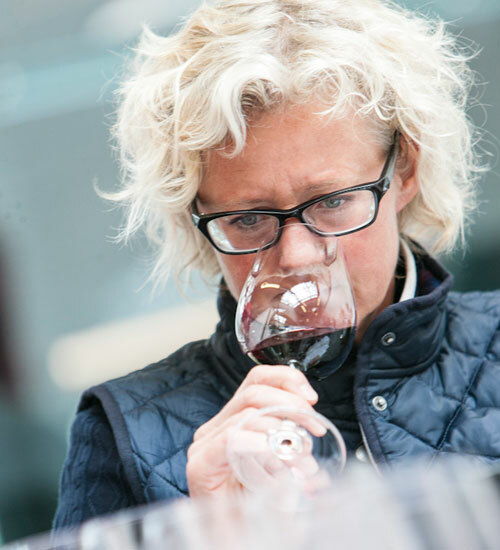 Jean is also strongly involved in their QC/QA-program, has been a judge at the Mondial du Pinot Noir for several years. Hamish Anderson started his career in wine as sommelier at Bibendum, the original Conran restaurant in the Michelin building. 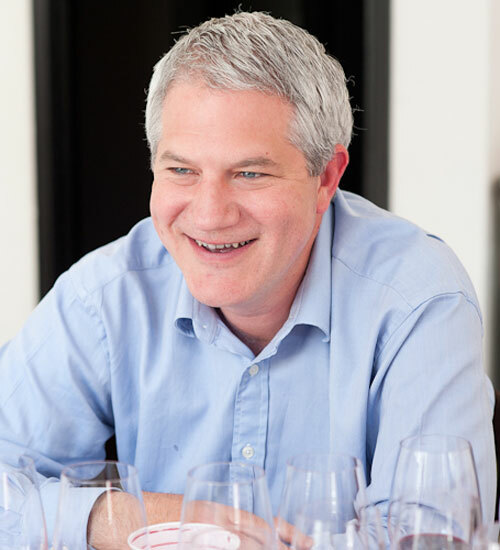 He is currently the head sommelier and wine buyer for Tate whose cellars have won numerous awards. His book Vino: Great Wine for Everyday Life, sold over 15,000 copies and he currently writes regular columns for the Saturday Telegraph Magazine and Imbibe, along with contributions to Telegraph Men. Jane Parkinson is an award-winning wine writer and communicator. Working freelance, she’s a wine expert for BBC1’s Saturday Kitchen Live, wine editor-at-large of Restaurant magazine, the wine expert for Stylist magazine, wine reviewer for 60 Second Reviews and is releasing her debut book, Wine & Food, this autumn. 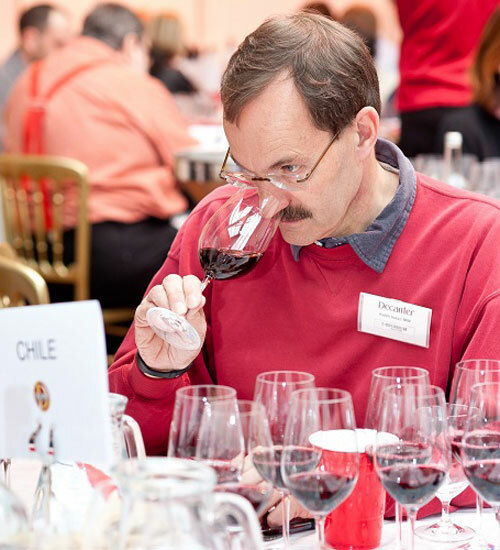 Parkinson is the IWSC Communicator of the Year 2014 and is a member of The Wine Gang, a group of five experts who host consumer fairs and review wines each month on thewinegang.com. 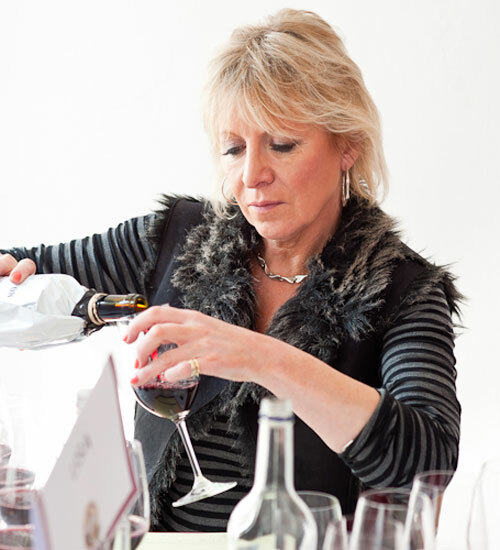 She hosts tastings at consumer fairs such as the BBC Good Food Show and the Ideal Home Show, as well as privately for restaurants and wine merchants. Parkinson also has her own website janeparkinson.com, on which she posts her published features, recommends wines, and writes restaurant reviews. Holding science degrees in food technology and industrial chemistry, Justin Knock MW’s wine career began in fine wine retail before he joined d’Arenberg in McLaren Vale as a cellarhand. Moving to the Hunter Valley, Knock became research winemaker for Rosemount and then Southcorp, followed by three years winemaking in Margaret River. Following this, he moved to London to look after Southcorp’s wine education programme, media activities and local production in the UK and Europe. More recently, Knock was the wine buying manager for Treasury Wine Estates, and he is now director of The Purple Hand Wine Company, a blending and sourcing consultancy. Based in London, he works extensively in the Scandinavian markets and makes wine in Australia’s Yarra Valley. 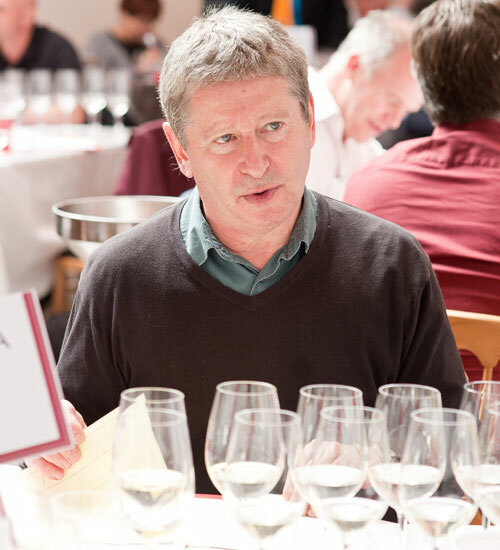 Keith Isaac MW is a veteran of Castelnau Wine Agencies, having been with the company since 1987, and appointed as general manager in 1996. Isaac read history at Cambridge but was introduced to the world of wine via the university’s wine club, where he was a member of the blind tasting team. He passed the MW in 1989 and served as chair of examination panel for several years until 2007. 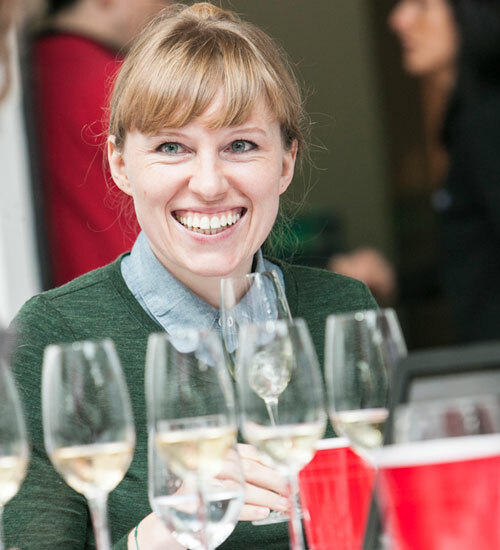 Laura Rhys MS started her wine career after gaining a degree in hospitality from college and taking a WSET course, which led her to focus on wine. Her first job was at the Hotel du Vin in Winchester, and during her two and a half years there, Laura ran for and won a regional heat of the Ruinart UK Sommelier of the Year in 2007. 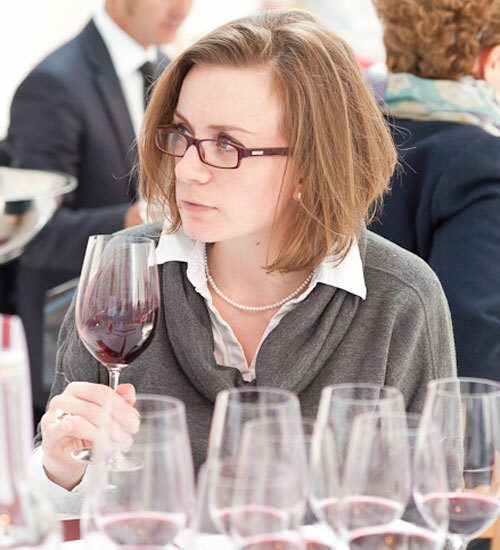 When Hotel TerraVina opened in 2007, Laura moved with Gerard Basset MS MW as Head Sommelier, and in 2009, she began studying for her Master Sommelier qualification, passing the practical the first year and gaining the theory and tasting parts in 2010. 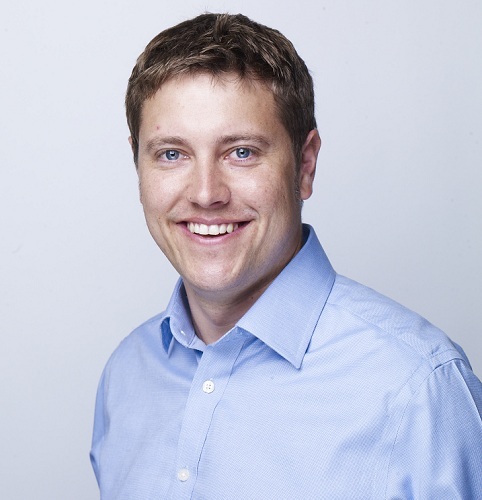 Matt Wilkin MS has over 25 years experience in the wine business. Following 10 years building on restaurant and wine experience in his native Australia, Matt moved to the UK in 1998 where he worked as Head Sommelier at the then two Michelin-starred The Capital Restaurant, buying wine and writing wine lists for The Hotel Group Knightsbridge’s 6 restaurants, whilst also working several Stages at a time throughout the Loire and Bordeaux regions. Currently Trade Sales and Marketing Director of H2Vin, Wilkin also consults for several highly-rated London restaurants, contributes his experience to the Court of Master Sommeliers Worldwide educational and examining board, and assists as a regular judge for the UK Sommelier of the Year Competition. 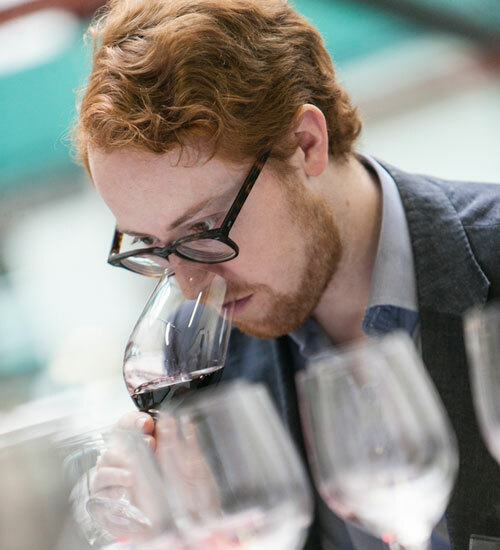 He is the recipient of numerous Awards and Scholarships, from UK Sommelier of the Year 2005, WSET & Master Sommelier Diplomas, and Young Australian Achiever of the Year in the UK 2009. Nigel Wilkinson MS is the fine dining account manager for Boutinot. Wilkinson became a Master Sommelier in 2005 and is now the assistant secretary for the Court of Master Sommeliers European Chapter. 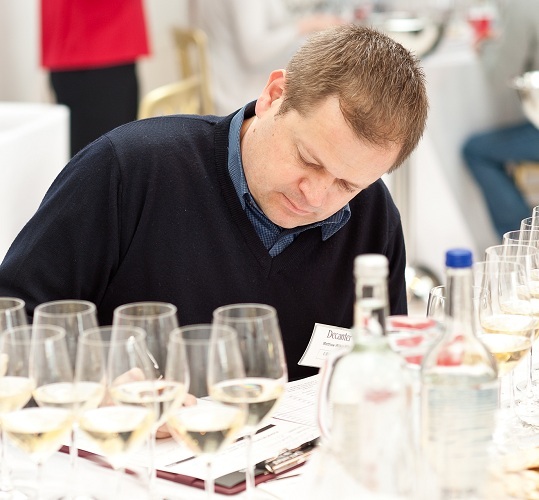 Before entering the wine trade, Wilkinson was twice runner-up in the UK Sommelier of the Year Competition and was named ‘Young Wine Server of the Year’ in 1999. Nigel lives in North Wales with his wife Joy and his two sons Owain and Aled. 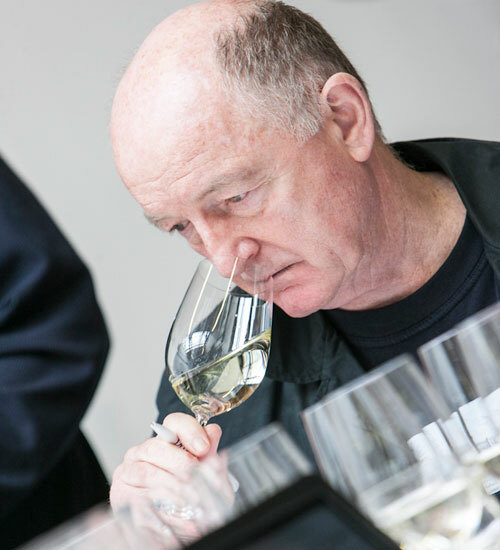 Oz Clarke’s wine career began when he captained the wine-tasting team for Oxford University. After graduating, Clarke spent a number of years as an actor and singer before turning to writing professionally in 1984, by which time he was a leading West End actor. He has been wine correspondent of The Sunday Express and The Daily Telegraph and written many award-winning books on wine, including Oz Clarke’s New Classics, Wine Atlas, Bordeaux, Let me tell you about wine, Grapes & Wines (co-authored with Margaret Rand), and Pocket Wine Book (now in its 22nd edition). Clarke was a presenter of BBC TV’s Food and Drink programme where his remarkable tasting ability has won him great notoriety, and more recently he joined Top Gear’s James May for Oz and James’s Big Wine Adventure, of which three series were aired on BBC2, followed by two with comedian Hugh Dennis. Clarke lives in West London, where, when not writing about wine, he likes to avoid drinking altogether (except for the occasional pint from one of London’s craft breweries), playing any sport he can lay his hands on and dreaming wistfully of lying on a palm-fringed sandy beach somewhere near to the equator. A lawyer by training, Ch’ng is publisher of The Wine Review, the oldest wine publication in southeast Asia, Hong Kong and China. In 2000, he published the world’s first Chinese Bordeaux Guide and in 2013 launched the annual newsletter The Margaret River Report. 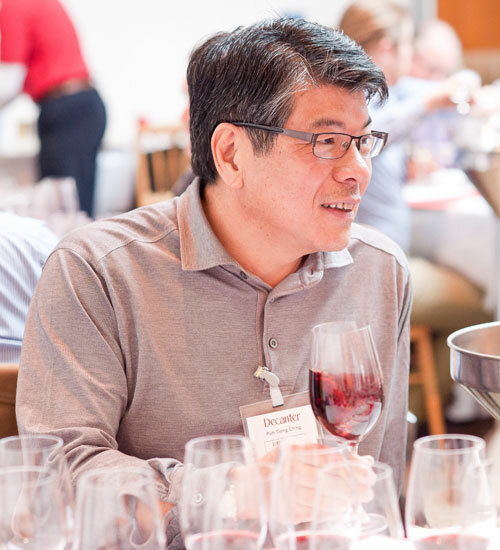 Ch’ng also writes columns for a number of publications including Decanter and Decanterchina.com. He is founder of Vinovideos.com, the world’s first bilingual Chinese/English wine video website, and Chngpohtiong.com. He holds a Certificate in Chinese Art from the University of London’s School of Oriental & African Studies and is an ambassador of The European Fine Art Fair. 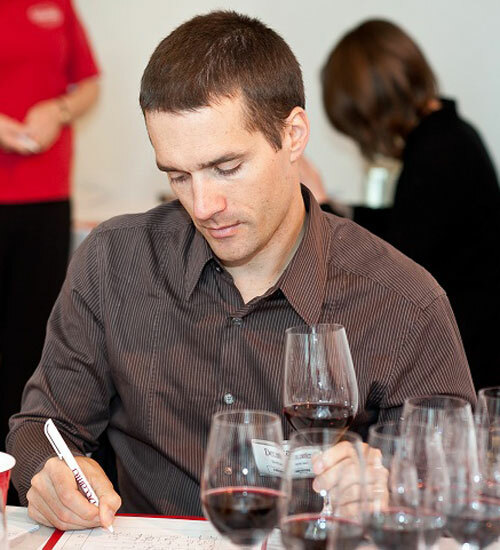 Richard Hemming is a freelance wine writer and educator. He has written for JancisRobinson.com regularly since 2008, and has a fortnightly column in Off Licence News. He has also been published by the Financial Times, Decanter, The Drinks Business, Harpers Wine & Spirit, and The World Of Fine Wine. Alongside writing, Hemming runs events and wine courses for companies and private clients. His previous roles in the wine industry include six years of UK retail management, viticultural assistant work at a leading estate in Kent, and surviving (just) the 2008 vintage in McLaren Vale as a cellarhand. Hemming began studying for the Master of Wine qualification in 2009, passing the theory exam in 2011 and the tasting exam in 2012. In what little free time is left, Hemming plays the piano a bit and cooks enthusiastically. Roger Jones owns the Michelin-starred The Harrow at Little Bedwyn, and combines his kitchen duties with a love of wine and frequent visits to Australia to enhance the 350 Australian wines from his 1,000-bin list. He is the consultant chef for The Park House Restaurant in Cardiff, and also the wine consultant to the trade publication, The Caterer and Hotelkeeper, in which he has a fortnightly feature. Jones works closely with numerous catering colleges, as well as with schools all over the South West. His charity work includes Chefs Night Out, Ty Hafan and, most recently, he has been working on ex Welsh Rugby Captain Ryan Jones’s Testimonial Year helping to raise funds for Welsh Guards injured in Afghanistan, more information about which can be found at www.rogerjonesconsultancy.com. 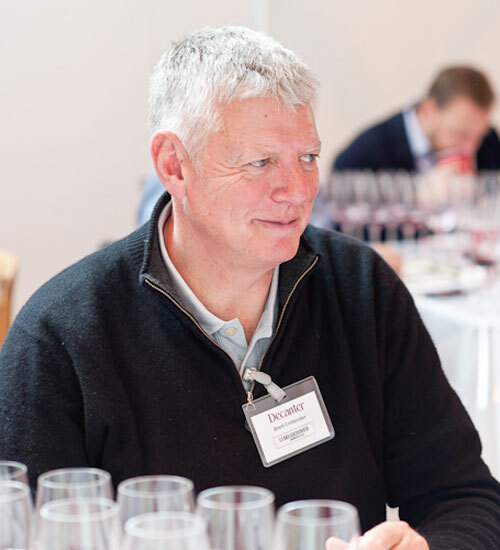 Simon Thorpe MW celebrates 25 years in the wine trade this year, and his career has seen him work for Fortnum and Mason, Waitrose and Constellation Europe. 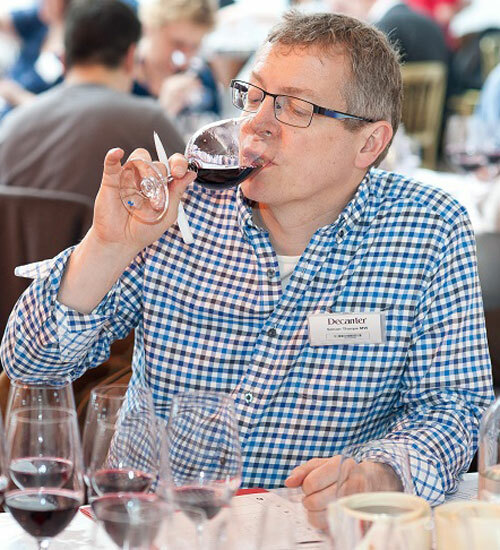 From 2009 to present he has been managing director at Negociants UK, and he is also an occasional guest speaker at consumer wine events. When he’s not at work, Thorpe is mostly found in a car ferrying his three boys to one of their sporting/social/school activities while, in his truly free time, Thorpe and his wife would like to be found in good restaurants (the type with crisp, white tablecloths) enjoying dim sum and a glass or three of Clare or Eden Valley Riesling. Aspler has been writing about wine since 1975, and has been wine columnist for The Toronto Star for 22 years. He is the author of 16 wine books, including The Wine Atlas of Canada, and three wine murder mystery novels: Blood Is Thicker than Beaujolais, The Beast of Barbaresco and Death on the Douro. In 2001, Aspler co-founded the charity Grapes for Humanity to raise money through the wine community for victims of landmines and children with disabilities. 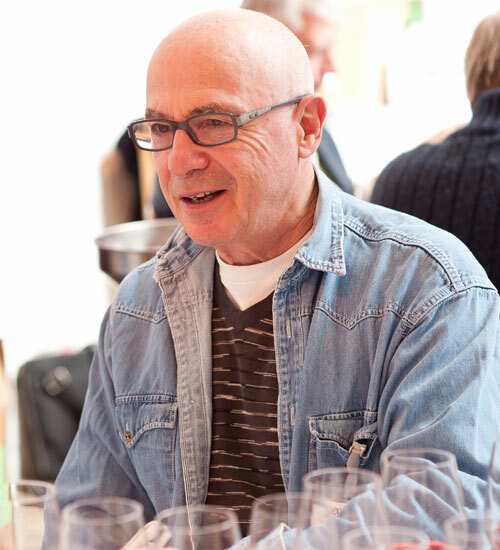 In 2007, he was awarded the Order of Canada (CM), and in 2012, he was elected to the New York Media Wine Writers Hall of Fame. Dr. Tony Jordan’s early career spanned scientific research, lecturing in oenology at Charles Sturt University, and winemaking consulting as a partner in Oenotec Pty Ltd. Jordan then joined the Moët Hennessy group, first as managing director/winemaker for Domaine Chandon Australia, before becoming CEO of Domaine Chandon Australia, Cape Mentelle and Cloudy Bay NZ in 2003. After 21 successful years with Moët Hennessy, Jordan revived Oenotec Pty Ltd in 2008, and currently consults on winemaking, viticulture and wine business to wine companies in Australia, New Zealand, Europe, China and India. He is also a board member of the Wine Australia Corporation and a past president of both the Yarra Valley Wine Growers Association and the Australian Society of Viticulture and Oenology. In his spare time he looks after his small Yarra Valley vineyard and mini arboretum. Stockholm native Totte Steneby started his career in the food industry before turning to wine in 2007, the year he passed both a sommelier exam and the WSET Advanced Certificate. In 2008 he joined Eriks Vinbar, where he currently works, and since then has taken part in several international wine competitions. 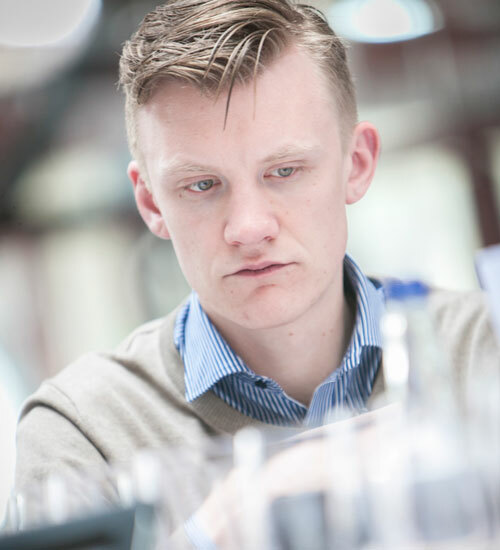 In 2008 he won the Swedish Rioja Sommelier Award and Viniportugal Scholarship and, in 2010, won the ASI Nordic Championship for Sommeliers and was invited as a keynote speaker at the Asian Top Sommelier Summit in Hong Kong. 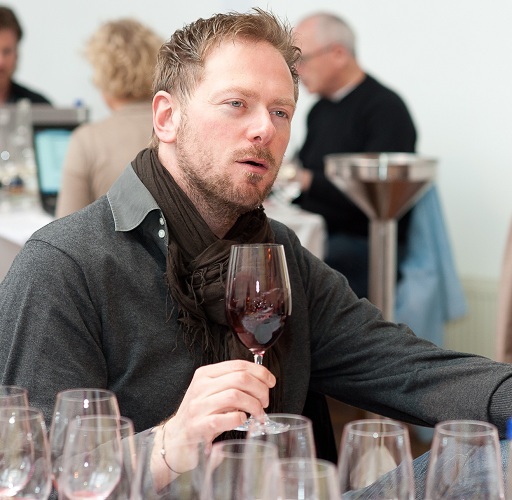 In 2011 he was the winner of the Swedish Championship of Sommeliers. 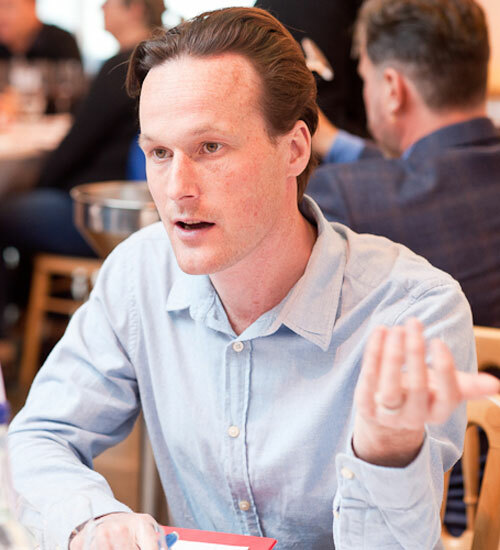 Steneby is the co-founder and current vice president of the Sveriges Sommeliergille, an organisation which brings Swedish sommeliers together to teach and learn from each other. Vincent Pastorello is head sommelier at Alain Ducasse at the Dorchester. His wine career has been international, starting with a position as apprentice sommelier at the Paris Hotel Marriott Champs-Élysées, and moving in quick succession to several Michelin-starred restaurants around the world. From his native Paris, Pastorello moved to London in 2004 to join D&D’s Orrery, after which he worked at Gordon Ramsey at Claridge’s and Gordon Ramsey’s Maze. 2006 saw a move to Melbourne, Australia, which he called home for four years. During his time there, Pastorello worked for both Vue du Monde and Rockpool Bar & Grill, working his way up to the position of head sommelier. He has been with Alain Ducasse at the Dorchester for the past three years.